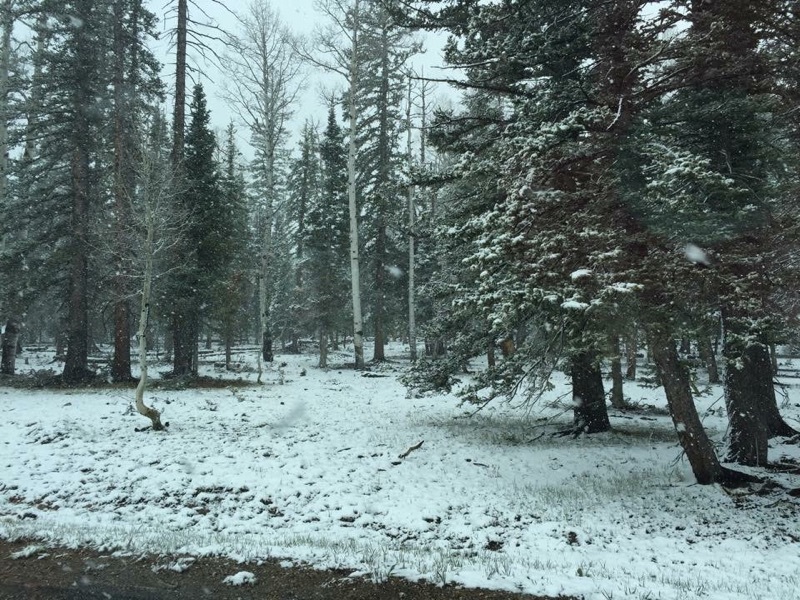 Snow on North Rim – on Memorial Day Weekend !! This photo was taken Friday night (yesterday) on the North Rim. 5/22/15. There is nothing like kicking off summer with a little winter, eh? On day one, hiking Rim to Rim going South Rim to North Rim, you hit the tall pines around the Supai Tunnel. That is when I notice the trees. At that point you will have walked 19 miles but you will still have 1.7 miles yet to go and an elevation rise yet to go of 1,441 feet. For comparison the Sears Tower in Chicago is 1,451 feet to the tip top. 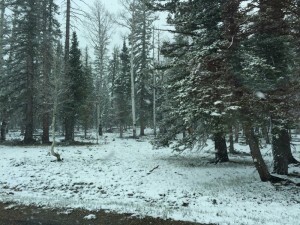 It is the longest haul because you know you are getting close to the top but the elevation kicks in, the exhaustion kicks in, and after a long sweaty day in the desert climate at the bottom of the Grand Canyon … you hit snow?! Anyone can be in trouble here. In the Grand Canyon the strongest of athletes can be destroyed by one loose rock that rolls an ankle just a little bit. And in the Grand Canyon the mental part of the hike might be just as hard as the physical part of the hike. Hitting snow can be a rude awakening on a very bad long day. Being unprepared changes everything, so be prepared for extreme weather. 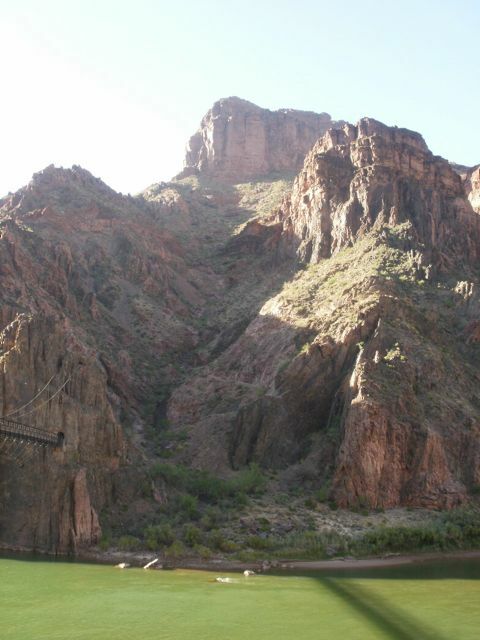 Watch the weather in the days leading up to your R2R2R for all three places: South Rim, Phantom Ranch, North Rim. Take clothes that can layer because you can start at 50 degrees, hit 100 in the bottom, and hike out in the 30’s. It happens all the time on “spring” hikes. One word of caution is to always be prepared to filter and purify creek water because the water pipe breaks so often in the inner corridor that water may be turned on according to the Backcountry page but that does not mean the water is actually “on” wherever you are down there. In a few days we will be down there again, old friends and new friends, all of us on beloved trails. Thanks for sharing the photo Abby. See you in the Canyon. Next post: June 2015 R2R2R. Whew.